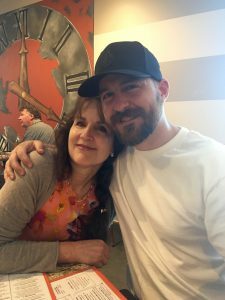 Robert and his mom at Mother’s Day breakfast. middle school teacher and father is a cardiologist in Northern California. 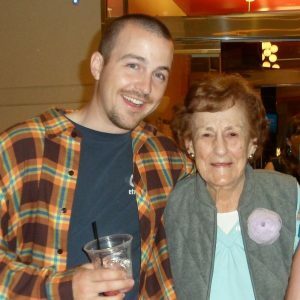 Robert and his grandma were very close. 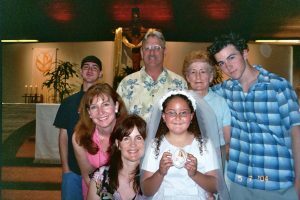 Robert and his family at his sister’s First Holy Communion. 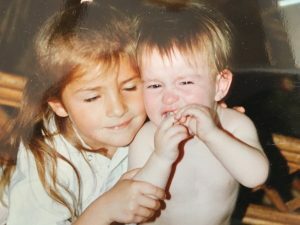 Christy, caring for her brother since 1988. 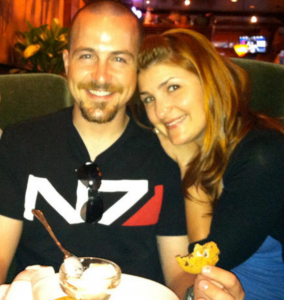 Christy is one of Robert’s biggest supporters. Robert is adored by his siblings who are heartbroken by his current situation. Christy attended every hearing without fail and writes a newsletter to keep our team members across the country up to date. Michaela currently works two jobs and attends college. As a child, Robert always had a love of animals. This love of animals continues today. He rescued baby ducklings out of the swimming pool on more than one occasion, rescued baby bunnies the family cat would bring home every Spring, checking them thoroughly to be sure they were healthy enough to release back into the wild. Robert’s first dog was a rescue. 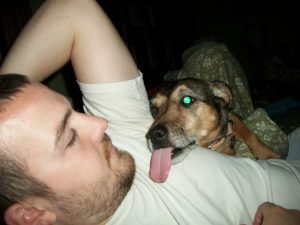 One Friday, Robert chose to take home the dog that was scheduled to be euthanized the following Monday. 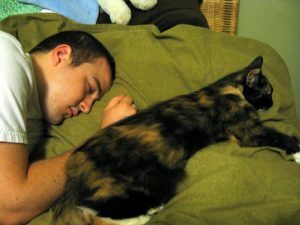 As a young adult, Robert rescued a cat from the shelter, only to find out that he had developed an allergy to cats. 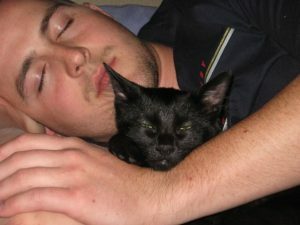 Rather than get rid of the cat, Robert instead endured a series of treatments to reduce his allergic reaction…then rescued another cat. Robert had to get allergy shots so that he could keep his cats. Robert and his wife, Sara, fostered a parade of animals, caring for them until they were in good health and could be adopted. At one time, Sara was employed at for the Bighorn Institute, an organization dedicated to saving the endangered bighorn sheep. Robert volunteered to help capture sheep to conduct health checks, and then to release them into other wild herds. Robert was always mechanical. 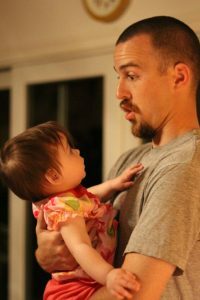 Before he could talk, while still in diapers, he scooted across the tile floor to examine the tools in the repairman’s tool pouch. 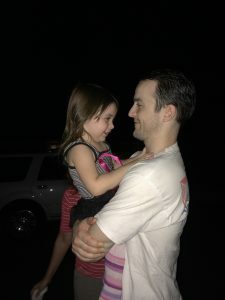 Then, at two, after his mother and grandmother frantically searched for the missing child, he was found, sitting in the large engine compartment of the car out front of the house with the hood up. Robert loves to fix things. After working with children in an after-school program, coordinating activities, helping students with homework, Robert began working for a local air conditioning and heating company. There he quickly learned how to diagnose and repair the much-needed AC units in the desert. Taking advantage of the training opportunities The General provided, Robert excelled at his trade. The first time I met Robert Pape was in a church. He was 16 years old at the time. I was invited to the church by Robert’s sister Christy. I had been going through some serious health issues when I was 24 and she thought it was a good idea that I come and experience a Healing Service. The only person I knew was Christy. Robert introduced himself and sat and prayed with me along with his whole family. met a teenage boy that would take time out of his schedule to join his family to pray with a guy whom he had never met. He stayed next to me and his big sister as if it was his duty to help me through a difficult time in my life. I fell in love with the entire Pape Family that night. My friendship with Robert evolved over the years and I watched this kid turn into a fine man. I have always been proud of him. 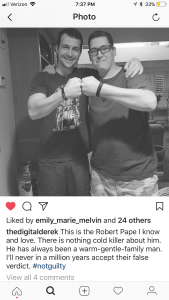 I consider myself blessed for having met Robert and the Pape Family. It hurts to see the media cast Bob as a cold blooded killer. I know he is innocent. Meanwhile, he sits in a jail cell and has to endure this great injustice to him, his wife, and family while we all wait for him to be set free. God Bless You Robert. Peace be with You. Son, Brother, Nephew, Uncle… and HUSBAND to Beatriz Pape. The woman who has stood by his side day in and day out for the last few years. Agreed. Edit made. Need pics.